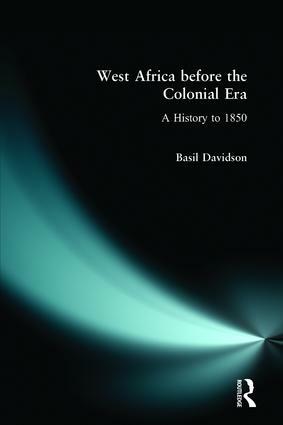 This is a survey of pre-colonial West Africa, written by the internationally respected author and journalist, Basil Davidson. He takes as his starting point his successful textA History of West Africa 1000-1800, but he has reworked his new text specially for a wider international readership. In the process he offers a fascinating introduction to the rich societies and cultures of Africa before the coming of the Europeans. 1. The Early Centuries of Emergence: An Introduction. 2. Emergence of Trading States and Empires. 3. Pioneers in Ancient Ghana. 4. The Majesty of Mali. 5. Songhay Achievement. 6. Kanem-Bornu and the Hausa States. 7. Early Senegambia. 8. The Forest Kingdoms. 9. On the Threshold of Modern Times. 10. The Arts, Religion and Learning. 11. The Organisation of Society. 12. New Pressures. 13. Origins and Growth of the Atlantic Slave Trade. 14. Senegambia After AD 1700. 15. The Union of the Golden Stool. 16. After Great Disasters. Index.